You probably need an MLM script if you resemble or feel like a used car salesman on the right when you talk to prospects on social media? Just a quick aside, everything I’m sharing with you today I learned in a course, My Prospecting Playbook. You can check it out here. There are a lot of people especially on social media, who come off like such a salesman. 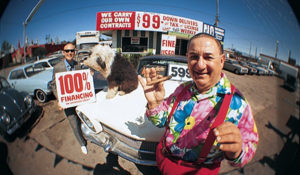 Now there’s nothing wrong with being a used car salesman, but most are known to see prospects as walking dollar signs. And that’s how most people act on social media. I’m looking for like-minded individuals who want to work with a winning team in a company with zero competition. I see we have mutual friends and similar interest. You should check out my system — INSERT LINK! Unfortunately, this type of MLM script does not work on social media. And, if these MLM scripts do work, you’ll find yourself losing people on your team as quickly as they’ve come in. So what’s the golden MLM script for recruiting on social media? This network marketing script will skyrocket your business and have you qualifying and recruiting reps in no time. By the way, if you're looking to learn more about the network marketing profession and want to learn more about what I'm working on click here to see if we're a fit. 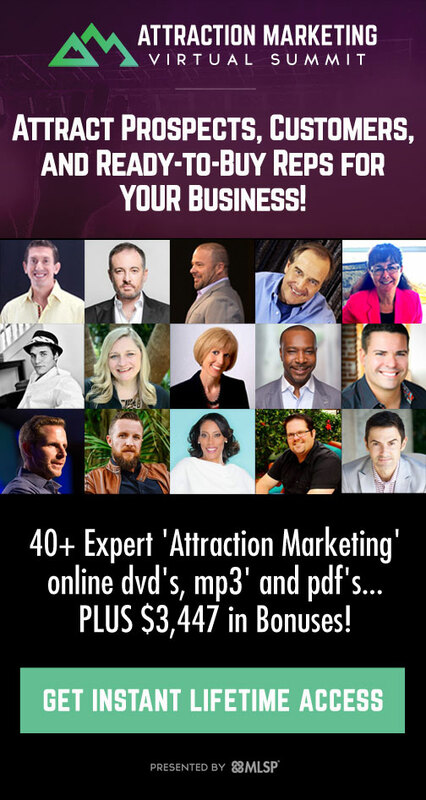 Attract More Leads, Sales and Enrollments Today! Grab Your Risk-Free 30-Day Test Drive of MyLeadSystemPro! 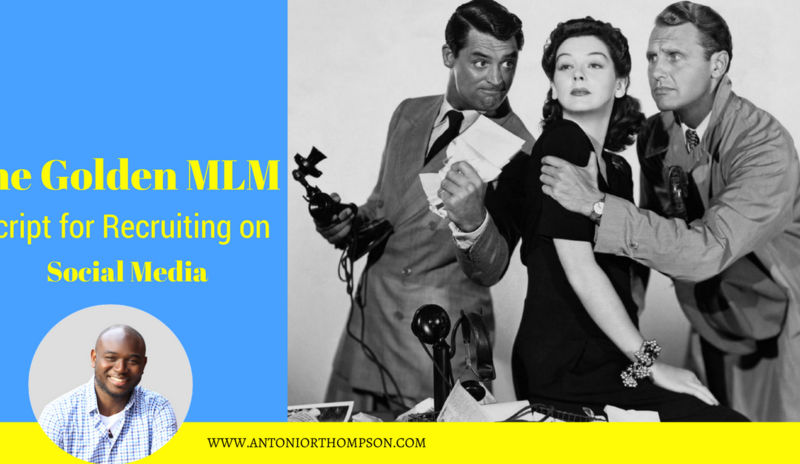 There are only two words in this MLM script and that is – Be You! People want to connect with genuine people on social media. Don’t be fake or phony. Be real and authentic. Here are the basics of my MLM script for communicating on social media. 1. Make the communication about THEM rather than about you and definitely not about your system or product or business opportunity. Take yourself out of the equation. Lose the agenda. Stop looking to make a sale and see if there’s a sale to be made. 3. Complement them and be specific. (Not just copy and paste: ‘I like the way you set up your profile blah blah blah’). Be more specific and compliment them about their header photo or about one of the posts they’ve left in a group or a status update on their page. 4. Point out commonality or look for people, where you have something in common with. Don’t be lazy about this and look at their page for a minute. Maybe you are from the same state or you might have some hobbies in common. You can use this information in your initial network marketing invitation script. 5. Don’t try to be the answer to their prayers, unless you know what they’re praying for. A lot of people go out and try to be the answer to everyone’s problems on social media without even knowing what the person’s problems and challenges are. I see this all the time on Facebook. Imagine for a second, you see someone on Facebook who might be slightly overweight and you say to them, “I’ve got this awesome tea that can help you lose weight.” How do you know the person you’re talking to needs or wants your tea or wants to lose weight. You come across a bit offensive and even naive. Hey Bobby, just followed you on Twitter and liked & ReTweeted your post about network marketing… Thought we should be connected here on FB too. I’m kind of stalking you :D. What do you promote? Do you see how this MLM script and network marketing invitations script will help you stand out from the crowd? If you’re serious about building an online business then connecting with your prospects is absolutely one of the most profitable things you can do. After all, it’s PEOPLE that buy products and join businesses. I recently completed My Prospecting Playbook course where I learned many of the MLM scripts and strategies above. Click Here To Check It Out. Got value out of this post? Leave a comment below and share it with a friend. 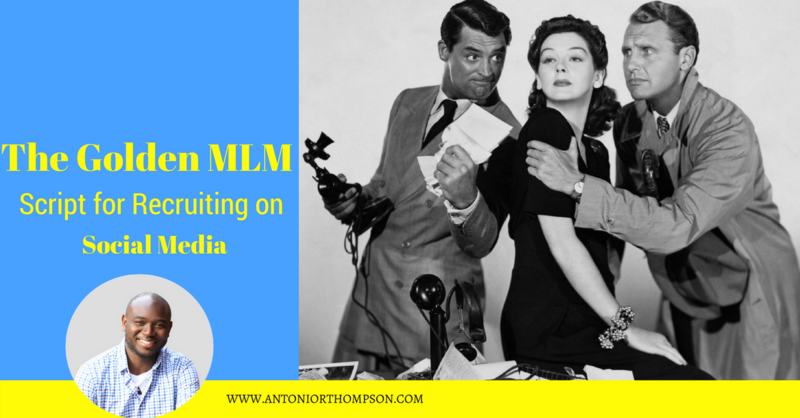 Did you get value out of Why You Need an MLM Blog To Blow The Roof Off Your Business? Leave a comment below and share it with your friends on Facebook.